The way proponents of vaccination are trying to use the herd immunity concept to entice people to vaccinate is false and misleading and simply irrelevant. Even though the medical researchers and the pharma industry are well-aware of the vaccine’s ineffectiveness and real risk of serious damage, the ignorant and inexpert media continue conducting uninformed, but often vicious campaigns of misinformation and demonisation of natural infectious disease and attacking the healthy unvaccinated. They ostentatiously interview young ignorant and unqualified people and celebrities simply expressing their irrelevant opinions and ideas of how good vaccines are and how irresponsible the unvaccinating parents are, and argumentum ad hominem rather than argumentum ad rem. It is well-documented that vaccinees develop vaccine-targeted diseases straight from the vaccines (smallpox, typhoid, polio, pertussis measles), usually after the first dose. Right from the beginning of any mass vaccination, outbreaks of any targeted diseases occurred in the vaccinated. In all countries with national vaccination programs, all vaccine-preventable diseases experienced deranged age distribution. 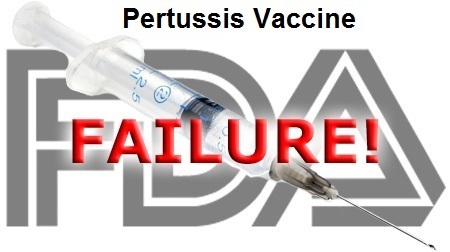 The present situation is that in all developed countries with high vaccination compliance epidemics of pertussis, measles, mumps, etc. occur with increased frequency and magnitude in small babies, and, in the older vaccinated. Natural infectious diseases of childhood (both mortality and morbidity) were on the downward trajectory 50 years before any vaccines were administered in mass proportions. The main reasons were better nutrition (especially better vitamin C status), sanitation, clean water and uncrowded living conditions. The documented fact that even with 100% vaccination compliance major measles epidemics occur means that vaccines are totally ineffective in providing any herd immunity. Quite to the contrary, they destroy it. The observed reality is that infectious diseases targeted by vaccination are far from being widespread in the absence of vaccination, in fact, they are evidently widespread despite and because of vaccination. The only children exempt from this new, vaccine-driven vicious cycle, are the unvaccinated.